Brayden’s Voyage is dedicated to our son who was diagnosed with Spinal Muscular Atrophy Type II. Brayden’s first few months were great, always alert and interested in what was going on. I remember him kicking his legs in the crib to let me know when he was up. He even started rolling over at 5 months. So things were going great. His older brother Logan, who was almost 2 years old when Brayden was born, was so excited to have a little brother!!! It was very precious to see them together! About 7 months I noticed that Brayden wasn’t rolling over anymore and thought that maybe it was just a fluke. I didn’t even realize that he had stopped kicking his feet when he woke up. I did notice that he wasn’t sitting up on his own like his brother had done at 6 months. Logan was walking and running at 11 months. Which, I know was early so I thought Brayden will learn at his own pace. At Brayden’s 12 month check up our Primary Care Doctor noticed something wasn’t right so he referred us to a specialist. 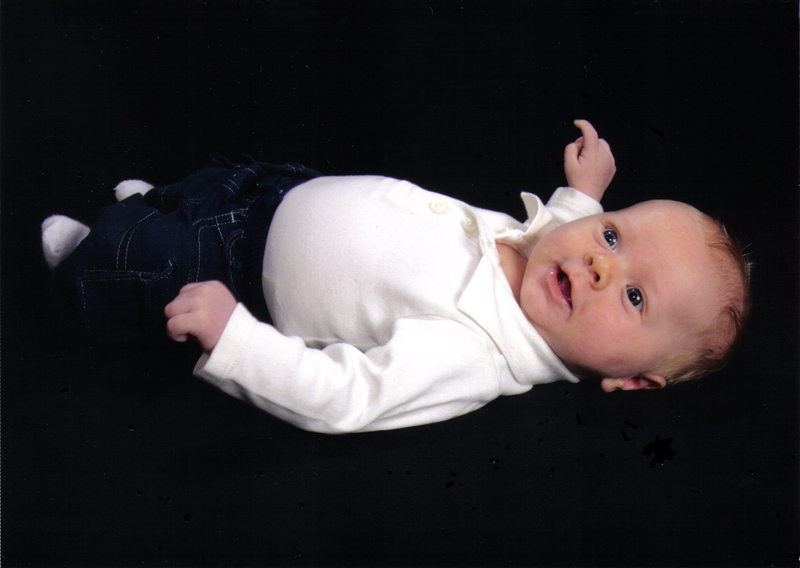 On April 7, 2011 we were told Brayden had Spinal Muscular Atrophy. We never heard of SMA and would never have thought Brayden would have a Neurological Disease. Our first questions were will he ever walk and how long will he live? Both were answered with words I didn’t want to here! We had a blood test to confirm which seemed like forever to get the results. In the mean time we did some research about SMA. In one of the first documents I read it stated that 50% of baby’s diagnosed will not live to see their 2nd Birthday. We went though a lot of emotions and had many more questions. We were then referred to a Neurologist, who reassured us that Brayden can live a long life and may be able to walk with equipment aids. We take our days one at a time….and thank GOD for the life we are living and know that we are Blessed to have all the support from our friends and family!!! What a blessing to the world he is. God is telling an AWESOME story with the life of this beautiful boy and your family. Keep your head up and eyes on the Lord as He continues to guide you on this journey. All that your going through is helping someone else. I pray your strength to remain positive even when it looks negative, and I pray for MANY MANY joyous days for your entire family to share together. God bless you all tremendously!!!!!! I just love that sweet little man! God picked the perfect parents for Brayden!